Find the cheapest flight deals available online, and let us track them for you with Price Alerts, so you can snap them up when they are at their lowest price. There’s nothing more annoying than missing out on a cheap flight you had your eye on. 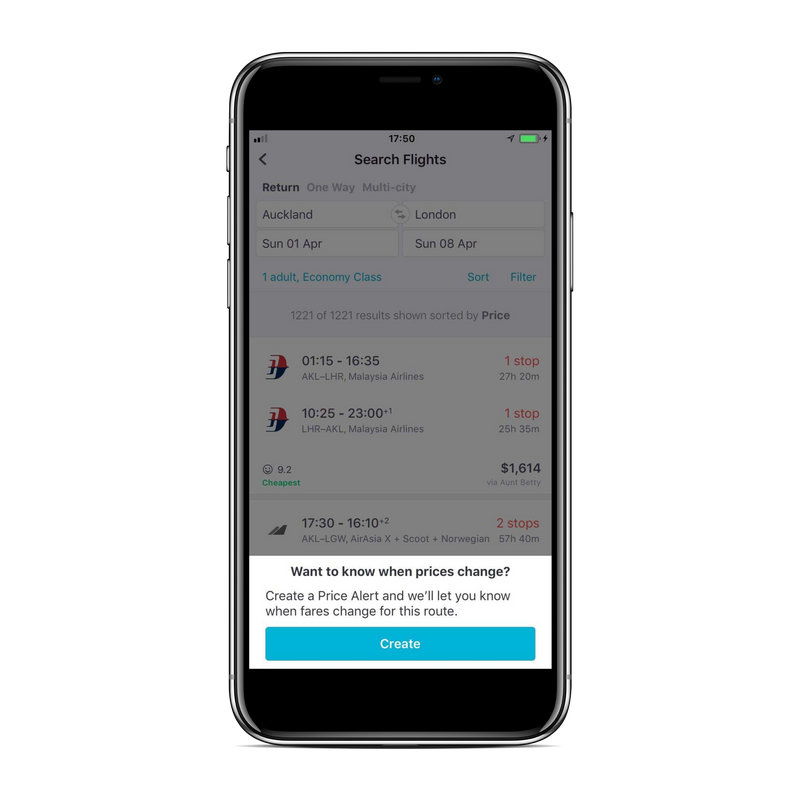 With Skyscanner New Zealand’s handy Price Alerts tool you can snap up the cheapest flights available without having to check back everyday. What is a Price Alert? A Price Alert is a way of staying up-to-date with fluctuating flight fares. If you’ve been hoping to score a cheap flight on a certain route, we’ll take the stress out of checking back every day, hour, and minute, and we’ll track it for you. When the price changes, we will notify you via email or a push notification. Why do I need Price Alerts? With all the planning that goes into any trip, having to constantly monitor how flight prices are trending can be tedious and frankly hard to stay on top of. With updates sent directly to you as soon as the fares start changing in price, you can cross flight-fare research off your holiday to-do list, and spend it on important things: namely scouting out the best Instagrammable activities to make all your friends green with envy. Firstly, pop in your origin and destination, and we’ll show you the cheapest flights leaving on your preferred dates. Once you see the results, just click on the Get Price Alerts button. If you’re already registered with us, and logged in, we’ll send the alerts to your email address. If you’re not? No problem. You can either create an account with us, or just add your email address. We’ll track the flight for you and notify you if there is an increase or decrease in the fare. 1. Open your Skyscanner app or go to our homepage. 2. Search for the flight route that you’ve got your eye on. bottom left-hand corner of your phone screen. For computer users, it’ll be on your top left-hand corner. 4. Tap or click ‘Create’ and that’s it, we’ll take care of the rest! Complete a flight search. With our user-friendly flights app for iPhone or Android, you’ll find setting up a price alert is even easier. Search your route for flights, and when the results menu comes up, tap on the bell icon located on the bottom left corner of your screen. Create Price Alert. Here you will be prompted to either login or create an account. Once you register, or list an address, we can send you notifications on price changes immediately, and you get to choose whether you want them in the form of push notifications or emails. Price Alert Confirmation. With the notifications enabled, you are now free to relax and let us keep a watchful eye on those flight prices. Snap up routes as and when they hit a price that you are comfortable with. So how do Price Alerts work? 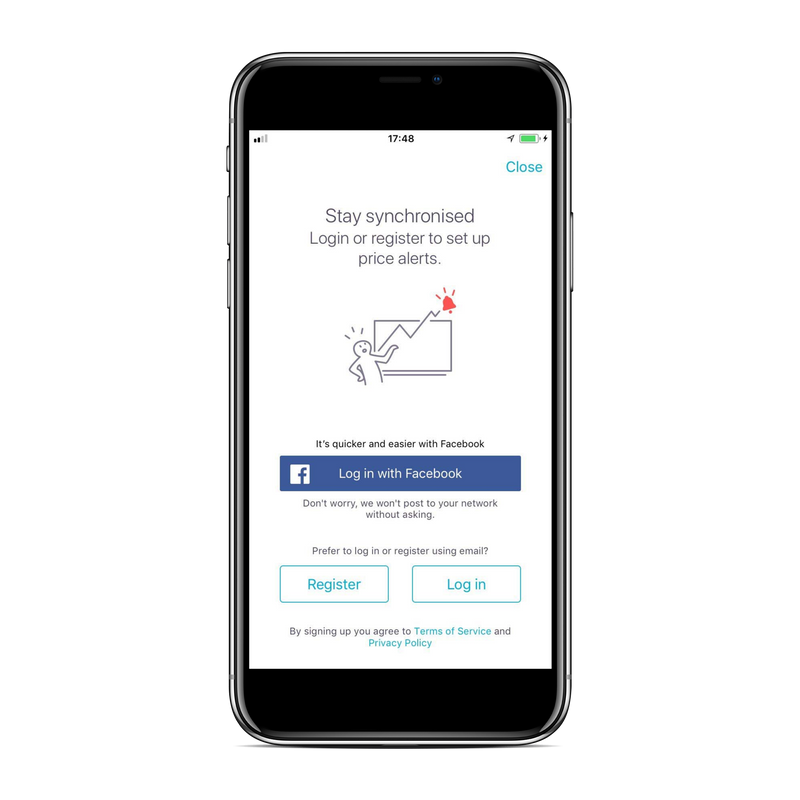 We’ll put a track on your chosen flight and update you whenever there is a change in price, you’ll be alerted via email or push notification. We’ll tell you if the price has gone up or down, and by how much, so you know when to book. You can also set up multiple price alerts on all different routes, and what’s more, our price alerts are completely free, easy to start up and easy to turn off. They are hands-down one of the best ways to find cheap flights, fast. 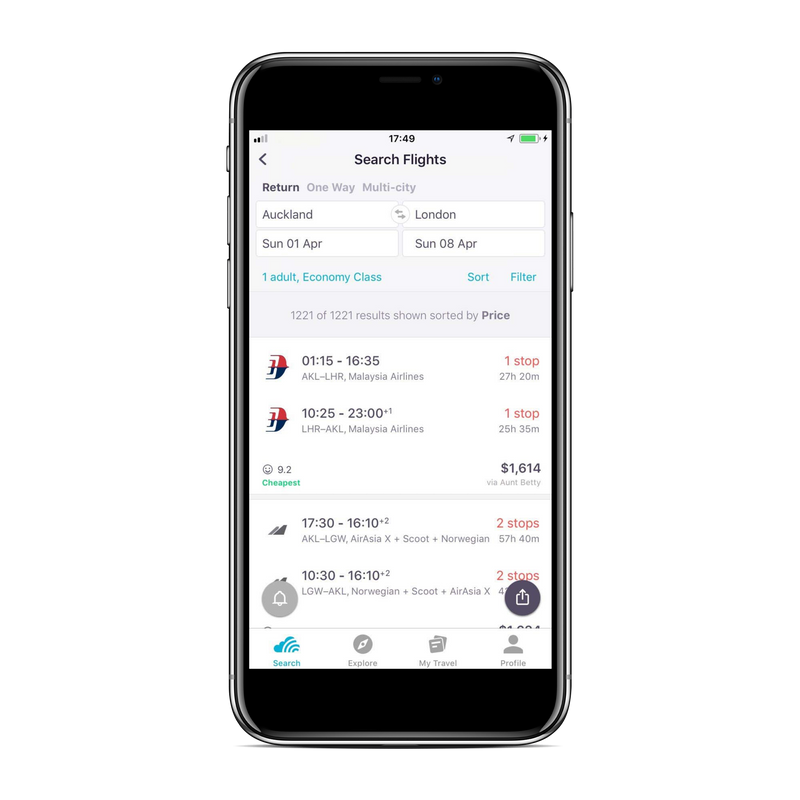 There are lots of awesome features on our Skyscanner App, especially now that it is new and improved! Check out avid travelers Damon and Jo’s explanation on how to set up and get the most out of your airfare alerts. Skyscanner New Zealand compares all the options available online for flights, car rentals and hotels so you can find the best deals.